I have a 27 year old pony named Elvis. But in the spring of 2015 my trainer and I decided to retire him as he had gone from being bomb proof on the road pulling a cart three times a week to nine rides in a row that were beyond scary from his constant spooking. If we would have kept going he would have hurt us both. Aside from his increasing bad nerves Elvis was obese no matter what we did or how little we fed him, he had a crested neck, constant gas, was very lethargic, his eyesight was bad and he had bloody white lines in his hooves. Marijke came out to the farm in late spring and after spending a couple of hours with him she explained that he was insulin resistant and had erratic sugar levels. She assured me that he would be okay and also that his eye sight would likely come back. She formulated a complete program including soaking the hay, feeding all of it in the Nibble Net slow feeders and giving him specific supplements: Pro-Colon probiotics, Blood Sugar Formula (homeopathic), Vitamin B12, Hormone Boost and Happy Horse. There was immediate improvement in him although he gorged himself on the hay bags at first and I was not allowed to let him run out of hay. I ended up having to put two large hay bags out for him and filling them three times per day. I never thought he would slow down but Marijke assured me again that he would eventually slow down his consumption of hay. It took about two months but he finally slowed down and now he eats normally. Within two weeks after starting the program he was back hooked up to his cart and the little old man and I were back out. Only one time I did not soak his hay and the next day he was so obviously spooky – like he had been in past – that he backed me into traffic. So I knew it was so very important with him for me to follow the program to a tee to keep his blood sugar levels stable. Now he has lost all his weight, there is no more gas, he has more energy, there is no more blood in the white line, and most importantly he is really happy. My trainer and I were amazed at the changes in him and I am so so grateful to Marijke and to her assistant Darla who is always such a big help when ordering. My only regret is not listening to Darla and contacting you sooner so I would know exactly what was wrong and what my horses needed. I have told everyone about you and Riva’s Remedies and the people that come here see the difference. I mean the changes in all my horses are truly amazing. I have done a lot of holistic stuff over the years but this is amazing. I want all my animals doing it and I have even started my parrots on the Pro-Colon probiotic! 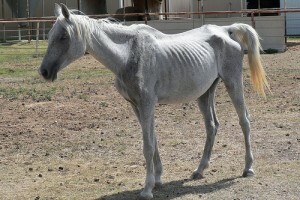 Thank you again for changing one little old pony’s life! Chewing fences is not the same as eating wood or cribbing. 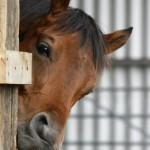 Chewing fences is a way that horses try to communicate with their human caretakers. What might a fence chewer be trying to communicate? Here are the most common: boredom, loneliness, lack of companionship or a meaningful relationship, dissatisfaction with diet, infrequent feedings, dental problems or teething, lack of exercise, anxiety, and/or symptoms of pain or discomfort. I have owned many horses over many years and I have never had one tooth mark on any one of my fence rails no matter how small or large the area. 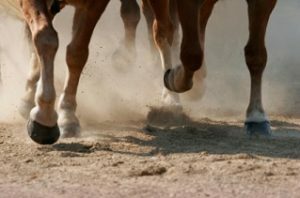 Learn to listen to your horses! Reference: The original article was published by Carole Herder in Cavallo Horse & Rider. To blanket or not to blanket – that is the question. That time of year is coming around again, the season is changing, the days are getting cooler and the nights are getting colder. All I see is horsey people running in and out to the paddocks and barns, taking blankets off, putting blankets on, holding different blankets up and trying to decide which weight to use. All of my friends are on their smart phones constantly checking out the weather to see if blankets are needed that night. Bordering on crazy! The blanket question is almost as heated as the barefoot hoof question (but not quite!). Personally, I think there are pros and cons for each argument. Yes, we want to keep our horses more naturally and they have evolved to survive all kinds of weather, without human interference. And yes, there are many wild and feral horses across the globe who manage perfectly well without our rugs. But what if your horses aren’t kept naturally, what if you need them clipped or clean or dry, what if they are old and sick? Horses are naturally equipped to deal with all kinds of weather. They have amazing inbuilt thermo-regulation devices! Thick winter hair will replace thin summer hair in order to help with insulation and act as a windbreaker. These layers will stand up when it is cold and lay down when it is warm. Raindrops and snowflakes literally fall off the downward tilted hairs. They have lightly muscled lower legs which consequently require less circulation and heat. Their large digestive tracts process a mostly fibrous diet when generates large amounts of heat. Long nasal passages warm the air before it reaches the lungs. Their relatively thick, blocky bodies retain heat for longer. They use their own rumps for wind blocks! 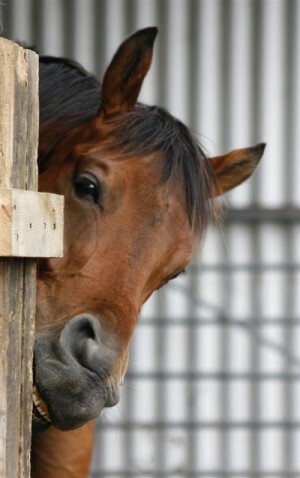 Their blunt equine muzzles contain so much blood that the cold finds it hard to get in. If they choose to stand still rather than run around, they will shiver to keep warm – this is genuinely a highly effective heating device. 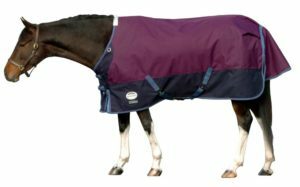 Consider the above pros and cons before donning your horse with a blanket this winter.